Another “first” for Katrina Kruse- organiser of the hugely successful International Yabusame Competition held earlier this year as part of the Carnivale celebrations- Katrina has arranged another spectacular event for the area- The Port Douglas Beach Horse Races. Four Mile Beach in Port Douglas is famous for its picture perfect view of the Coral Sea, and the hard flat sands make it perfect for such an exciting event. The Port Douglas Races features a four hour entertainment package with a series of horse races run in a Picnic Racing Day format. 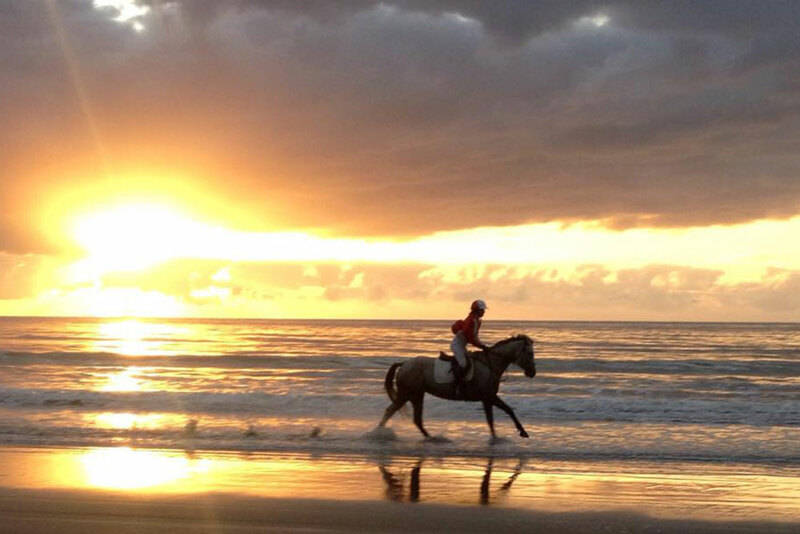 The Port Douglas Races start at 11.15am on August 8th 2015. The Port Douglas Races will consist of individual Breed categories for the horses. There will be races for Arabs, Quarter horses, non racing Thoroughbreds and the ‘Furry Hooves’ Race for the large draft breeds, as well as a fun kids and ponies race at the beach horse races. The inaugural Port Douglas Races aims to provide a fun racing carnival atmosphere with all the usual features of horse racing. The beach horse races will include fun events such as fashions on the Beach, as well as local music performers, markets, a child play area, food stalls and “Picnic Games” which are free for the racegoers to participate in. General admission to the Port Douglas Beach Horse Races is free to the public.The Port Douglas Beach Horse Races are designed to cater to everyone. Visitors and locals alike can attend the beach horse races, watch the races and events, bring a home made picnic lunch and blanket, or purchase tickets for the more upmarket facilities on offer. Access to the ticketed areas of the Port Douglas Beach Horse Races are available from 10.30am with the food and beverage package starting at 11 am for 4 hours. The Horse Races will be closed at 3.30pm. All in all the Port Douglas races will be a fantastic and novel day in paradise. This entry was posted in Port Douglas News and tagged beach, fun, horse racing, Port Douglas.